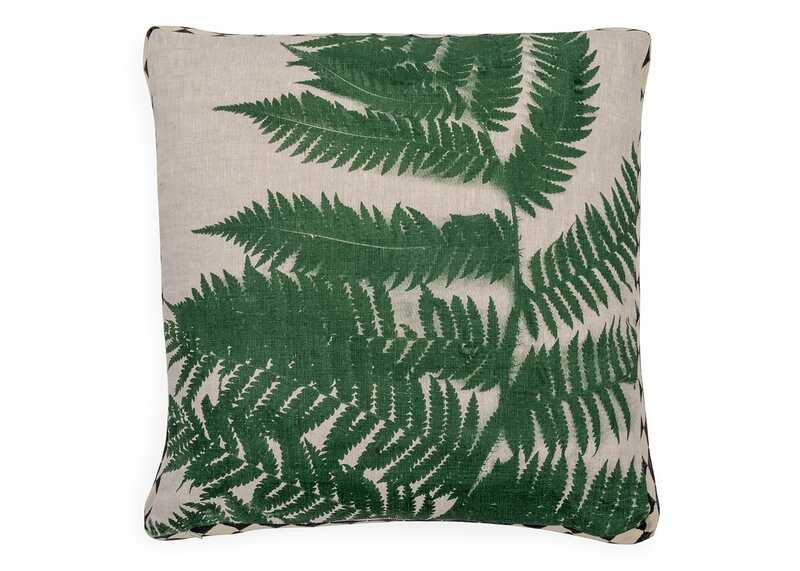 Designed by Bonnie & Neil, the Fern cushion features a bold tropical print in vivid green. 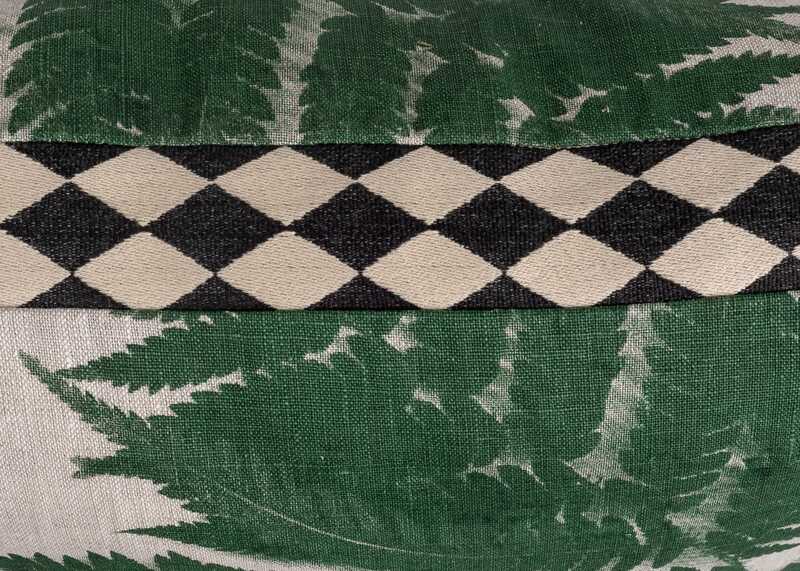 Each cushion is designed and hand screen printed on to 100% linen within design duo Bonnie & Neil’s Melbourne Studio. The double-sided linen cover is hand finished with a black and white diamond trim and filled with a feather pad. Everything already said in previous statement .